One of the stops on my recent trip to Alaska was Cripple Creek, in the middle of nowhere, nestled in a valley of glaciers. Its water is crystal clear and you can see the riverbed for a long, long way. I wound up at Cripple Creek on my tour of Mount McKinley, the tallest mountain in North America. 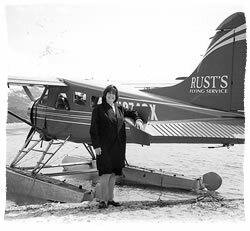 As we were landing on the water (I was in a seaplane), the pilot turned to his six passengers and with a wry smile began to play the song "Cripple Creek." I sat in the back of the plane, laughing. All during the planning stages of my trip to Alaska I could not pinpoint exactly why I was going. I told people that I had a cousin living in Big Lake and I wanted to visit her. I was curious to see first-hand, how a young rabbi and his wife - Yossi and Esty Greenberg - run a Chabad House in a place like Anchorage. I wanted to see Alaska. All valid reasons but were they concrete enough to justify such a long trip? In fact, I made them my reasons. It's an interesting observation that once everything falls into place how obvious it suddenly becomes that G‑d runs the world. At the outset we think that we are making the decisions. We do ground work, explore options and then, when we finally decide on an actual plan, we excitedly and diligently get on with the implementation. So, what about Alaska? How do a rabbi and his wife live there? What about a Jewish girl living in Big Lake Alaska? How does she survive in terms of Judaism? What about Alaska itself? My cousin Paige lives in Big Lake about an hour and a half from Anchorage. The drive up is breathtaking and Big Lake is, as is the rest of Alaska, pristine, calm and the quietest place I was ever in. Paige, a bright, articulate college graduate, lives on 10 acres of land with her husband Dean, stepson Brandon and daughter Jade who is two years old. She was born in New York, moved to Florida and on a trip to Alaska, met her husband and never left. Dean is a warm, quiet and gentle man. For the past three years I have been corresponding with Paige. I wondered who lives in Anchorage, and the eclectic group at the Greenberg's Friday night table answered my question. People just like you and me. They are, for the most part, passionate about where they live and most of them love the outdoors. They hike, ski, swim, boat, dogsled– anything to be outside. It also helps that it gets dark between 11 and 12 pm. (For those who do not know me, the only outside thing I do is barbeque, so my admiration for these people knew no bounds). They all had a story of where they came from, how they wound up in Alaska and how much they loved to live there. The Chabad house where the Greenbergs live and work serves not only as their home, but also as the synagogue, community center, social hall and anything else you can think of. The physical layout of the house is such that when you walk in there are two flights of stairs. Going upstairs you enter their home, going downstairs, the shul. On Shabbat morning, while I was speaking to my cousin at the table, people were arriving to go to shul. But before going downstairs to pray, most congregants first went upstairs to the living quarters to say good Shabbat and have a few words with Esty. We are not speaking eleven in the morning, we are speaking 9:30 am. And Esty is as warm, friendly and approachable at 9:30 am as she is at midnight. Privacy is not a word in her vocabulary. Paige arrived at the Greenbergs early Friday evening and, after a lively meal on Friday night, decided to sleep over. Esty had prepared a room for her in case she made such a decision and things moved very smoothly. On Shabbat morning I spent some quiet time talking to Paige, getting to know her, answering the myriad of questions she had about me, how I became observant and about Chabad in general. We had a frank, open and warm discussion, which left us both wanting for more, but time constraints, people wandering in for Shabbat services and mostly her two-year-old, kept us from continuing. On Shabbat afternoon, after the kiddush, I finally got a chance to sit and talk to Rabbi Yossi and Esty Greenberg. They are a fascinating, fun, entertaining and spirited couple. And they love being in Anchorage. Rabbi Greenberg was born in Israel and comes from a family of seventeen children. Many of his siblings are on shlichus (emissaries of Chabad) as he is, in far-away, isolated posts. One brother is in Shanghai, another is in El Paso, Texas. To fully understand how Rabbi Greenberg operates, his constant level of energy, his absolute, unwavering commitment to finding even one isolated Jew, one must delve into his past. His father, Reb Moshe, grew up in Russia during the time of Stalin. When he was twenty, he, along with six other young men helped to smuggle hundreds of people out of Russia on fake Polish passports. Unfortunately he and his brave friends never made it out. They were caught by the Russians and sentenced to twenty-five years in a Siberian Labor Camp. Rabbi Greenberg told me that his father made two decisions when entering the camp. One was that he was going to keep Shabbat and the other that he would keep his beard. When the first Shabbat arrived, Reb Moshe Greenberg refused to work. His punishment? He was stripped to his underwear and placed in a coffin-like box, which stood upright. He could not move at all. He remained there for 24 hours without food or water. This punishment continued every Shabbat for nine months. When he finally became ill as a result of his treatment, he was placed in a hospital. While there, he was tied to his bed and his beard shaved off. After his release from the hospital, his guards never bothered him about working on Shabbat again. The object of the physical punishment was to break Reb Moshe's spirit. However, much to the chagrin of his captors, he retained his spirit which grew stronger with each passing day. Stalin died seven years into his sentence and all the prisoners were released. Reb Moshe married, moved to Israel and continued on with his life. Esty's story reflects how she really lives in a place like Anchorage, the challenges she confronts daily and how she handles herself and deals with each situation. She grew up in Detroit, the daughter of the head shliach of the state of Michigan. Her father, Rabbi Berl Shemtov was sent there on shlichus with his bride of only four days. Every one of Esty's siblings is a shliach of the Rebbe. In November of 2001 Esty's son, Mendy, was to be Bar Mitzvahed, the celebrations to be held on a Tuesday evening. The Greenbergs decided to hold the event at the Marriott hotel and go all out. Esty normally gets all her meat flown in from Iowa and of course, cooks everything herself. But for the Bar Mitzvah she wanted something different. She decided to call a caterer in California and order three parts of her meal – the first and main course and a side dish. The caterer would fly the cooked, frozen food on flat trays and all Esty would have to do is heat the food in the freshly koshered oven at the Marriott. She arranged for the food to be delivered on Monday, nine days before the Bar Mitzvah. On Monday afternoon the caterer called from California saying that he had a problem. As it was just after 9/11 the freighters had new, much stricter regulations. They would not fly anything from anyone that did not do regular business with them. She did not panic, but simply told the caterer that she would make arrangements for the food herself and call him back. That is what she did. She contacted a friend in California who assured her that he would get the food flown out on Friday. Friday, at one in the afternoon, three hours before the onset of Shabbat, Esty received a call from California. The friend to whom she had entrusted this job was very sorry, but could not get around the new rules. She hung up the phone and stared into space. What to do now? Her husband and son had flown to be in New York for Mendy's birthday and anyway it was already Shabbat in New York and she could not even inform her husband of the latest developments. She pictured the 250 guests at the Bar Mitzvah eating fruit, salad and dessert and began to panic. Then she stopped herself. One thing about being virtually the only game in town in terms of Shabbat - you don't have the luxury of a day off. So, although her husband was out of town, the Chabad House must run as usual - with Esty in charge of the meals, the services, the guests and the dvar Torah (Torah speech). And now she had an added situation to contend with. She devised a plan, simple, but hopefully effective. 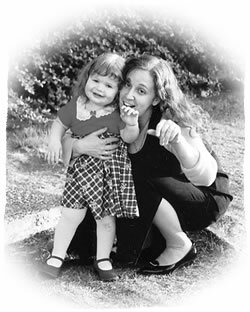 She would relate her dilemma to every person who walked into the Chabad House that Shabbat in the hope that someone would have a solution. As the guests began to arrive she recounted her tale. Of the invited guests that night, there was a couple who came in a bit later than everyone else. The woman had been to the Greenbergs before, but her husband, who was not Jewish had not. Esty recounted her story and the gentleman looked at her and calmly told her that he was a pilot for Alaskan Airlines. On Monday he would fly to California and pick up her food. Just like that. Esty, in total shock and having never met this man before, told him absolutely not. She would never ask him to do such a thing. He just looked at her and said nothing. When Shabbat ended, Esty had another brainstorm. On the internet there is a chat-line for emissaries of the Rebbe. It runs 6 days a week, 24 hours a day. She put her dilemma on-line and waited. Ten minutes later she received a call from her cousin, Rabbi Avtzon in Hong Kong, asking if he could do anything. She spent the entire night fielding calls and emails from all over the world. But no one could help her. Sunday morning, her new friend called and told her that he had booked his flight to California and please have the food ready and waiting at the airport. With no other options, Esty graciously accepted his offer. Wouldn't you have wanted to be a fly on the wall when Esty told this story at the Bar Mitzvah? Standing in her kitchen while she related the story sent shivers down my spine. What a life they live in Alaska. Everything, but everything is an adventure. The mikvah is another one of those adventures. Before going out on shlichus there was one criteria the Rebbe insisted upon. The community where a young couple would be going did not have to have a synagogue, school or kosher food. It had to have a mikvah. 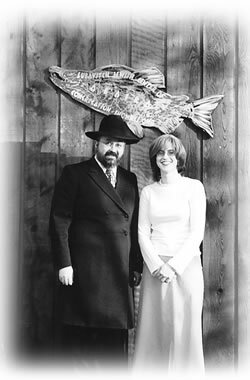 When Rabbi and Esty Greenberg went to Anchorage in 1991, there were 4,000 Jews in Alaska and one mikvah – on Elemendorf Air Force Base, near Anchorage. In February of 1999, the Greenbergs received notification from Elemendorf Air Force Base that the government intended to demolish the mikvah immediately. After fervent appeals, the Jewish community was given an extension until June 15. Immediately upon hearing this devastating news, the entire Jewish community, headed by Rabbi Greenberg, banded together and began a fund-raising appeal to build a new mikvah on land the Greenbergs had recently purchased for a community center. The cost, without the land, was $300,000, a tremendous sum for such a small community. This seemingly high estimate was due to the exorbitant shipping and construction costs in Alaska coupled with an extremely short building season. 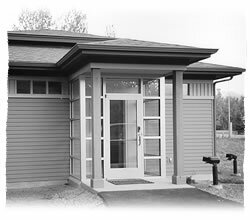 By this time you must be asking yourself how many women use the mikvah in Anchorage - enough to justify a $300,000 building? Well, one of the biggest industries in Alaska is tourism – cruises to be exact. During the summer, the height of the tourist season, the Greenbergs often get calls from vacationers inquiring about mikvah. As well said Rabbi Greenberg, "For the sake of the handful of local women today who want and need a mikvah, and for those in the future, it's worth building." After the demolition of the air force base mikvah, Esty and the other women using the mikvah had to fly, once a month, to Seattle, which was the closest mikvah. It was a slow and laborious task to raise the money, but they did it. So, besides all the physical adventures, what really transpired in those five days? I found and bonded with a sweet young woman and her family, who happened to be cousins. This trip became the vehicle that enabled Paige to re-connect to her roots, making the dream of keeping Judaism a reality – for her and her daughter – the next generation. Sharing a few moments in the lives of Rabbi Yossi and Esty Greenberg was a privilege and an honor. They willingly opened their home and hearts to a total stranger. To befriend such people, leaves one stronger, more determined and resolute in their convictions. When the Rebbe sent the Greenbergs to Alaska fifteen years ago, I was living another part of my life. This trip is a new chapter in my ongoing journey, helping me to solidify what I learn and live here in Montreal. I still marvel at the foresight of the Rebbe, sending young men and women to the four corners of the earth, understanding that no matter where a Jew might find themselves, no matter what the circumstances, there must be people who give, who care, who love a fellow Jew· unconditionally. 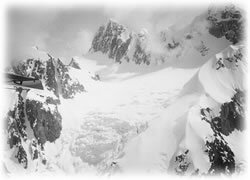 My trip to Alaska began as an excursion to a somewhat exotic venue, with very little expectations, to visit people I did not know. It ended up being a heart-warming, inspiring and enriching five days. I befriended many, many people, whose lives, as mine, are intertwined with the struggles of life and being a Jew in today's world. Joannie Tansky is the author of Girl Meets God; The Gift of Being a Jewish Woman. She is an international speaker and coach and is currently working on her second book, In The Eyes of Other Women. Is This Your Ten Million Dollars? Add a comment...This is a great story! You tell it exactly right! The Rabbi Greenberg is the most interesting person to listen to teach that I have ever heard. He is passionate about what he believes & has such an excellent way of communicating deep & rich truths from the ancient Scriptures. It's hard to describe the impact his words have! Esty is amazing. She is tireless & always looks terrific! All her children behave beautifully & despite all the people coming & going daily, her home is spotless. The mikvah has been seen anew with her annual lady's show, dressing up from stages in history, showing the courage of women living Jewish in a non-Jewish world. Wow! Avram ben Agiri - thank you so much for our heartfelt comments. Alaska is a warm (pardon the pun), wonderful and stunning place to both live and visit. It is my intention to return to speak in the new Chabad building. When that will happen is in G-d's hands, but I will try to expedite matters and hope to meet you when I'm there. Abouts 12 years ago I turned to the Greenbergs to try and help my ex-husband who had run off to Alaska reconnect with his Jewish roots and neshama. He did not even live within their community but I had no doubt that they would have gone to any lengths to try and help this lost soul return. Unfortunately he did not want to be helped at that time and moved on. Lovely Story! What a lovely story! My sister lived in Barrow, Alaska about twenty years ago, where she did water testing at the Pipeline. I must say, as lovely as this story is, I and most of the women I know wouldn't have been able to afford to fly to Seattle every month for mikvah! It would have been the cold ocean for us! The women in your story are very fortunate to have been able to afford to fly to Seattle instead.